The QQQ short term up-trend completed its 4th day on Monday. I am concerned about AAPL’s lagging the market. It is not a good sign when a market leader lags. 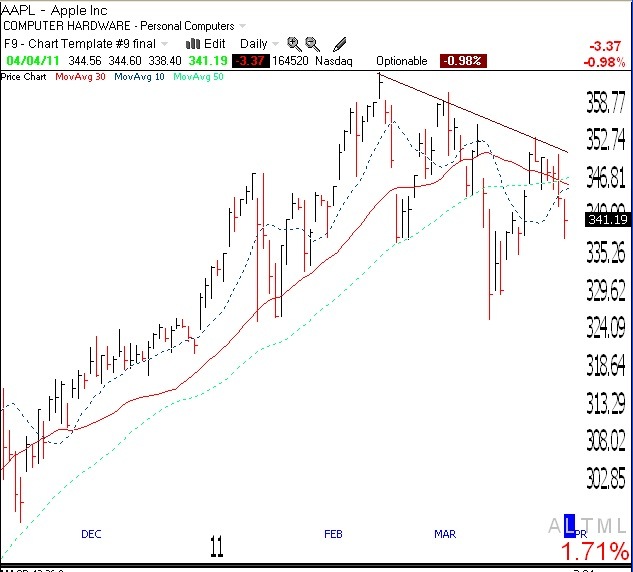 The last time AAPL reached a new high was on February 16. Click on daily chart to enlarge. I see this as a purely technical underperformance as opposed to real investors’ concerns.